Do you want to create to your own browser which works similar to chrome with same speed and same security? Then you must read this article. By the way it takes less than 5 minutes to create your own browser without any coding knowledge. Actually we have so many popular browsers like chrome, Firefox, opera, safari and Internet explorer then why you need to create a new one ? Here is the answer for that. If your PC is used by your family members and friends then they may see your information mistakenly. To prevent from this if you create different browsers for each one of your family member and give their image as icon of that browser. You can create your own browser to surprise your friends. How to Create Your Own Browser within 5 Minutes ? Go to Makemybrowser website and click on Start Now button. Now you need to give one name to your browser, you can give any name that couldn't matters and upload an image to give it as icon to your browser. If you don’t have any image then you can choose default icon from icon set. After this click on “select bookmarks” and add bookmarks to your new browser. Optionally you can import bookmarks from your old browser. Now add some more websites to bookmarks field by clicking on “Add a new bookmark” and type website name and short name of website, finally click on Add button. After that click on “add features” to install some more extensions into your browser. 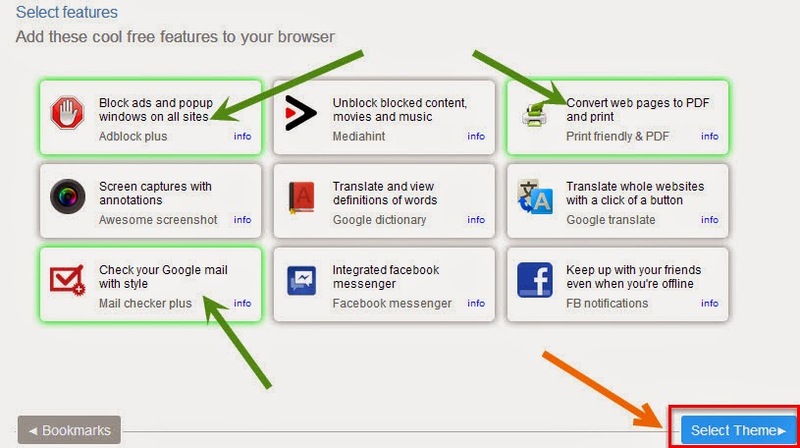 Here you can choose some important browser extensions like adblock plus, screenshot tool, Gmail checker. Here you need to consider one thing, if you pickup 10 extensions your browser size will be automatically increased. So choose important extensions only, after installation you can install more extensions as your wish. 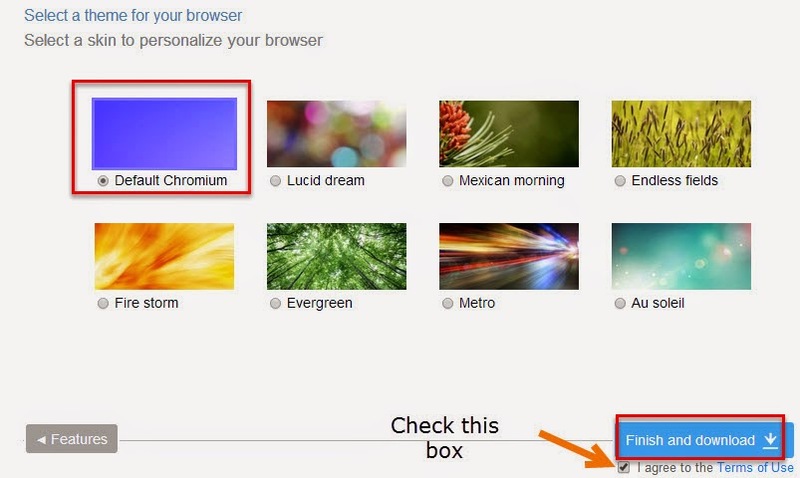 Now you need to choose theme to finish the browser creation and after that you can download your own browser. Must check the box to agree terms and conditions to download browser. To download your browser you must login into this website by creating an account and must confirm mail also. After that it gives a 450 KB file and that is your browser setup, while installing browser it automatically downloads other important files and extensions. Once download will be finished you can run your browser from the desktop. Here is our new customized browser and you can see IDM extension is ready to add into our new browser. So all other extensions also works without any problems. Here is the virustotal report,we get clean report to our application.